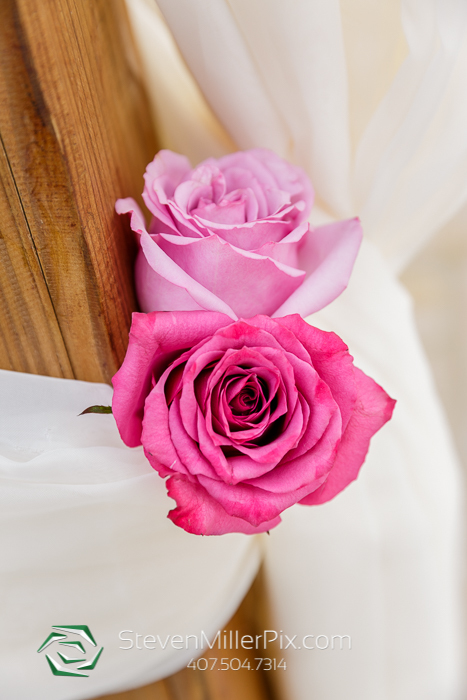 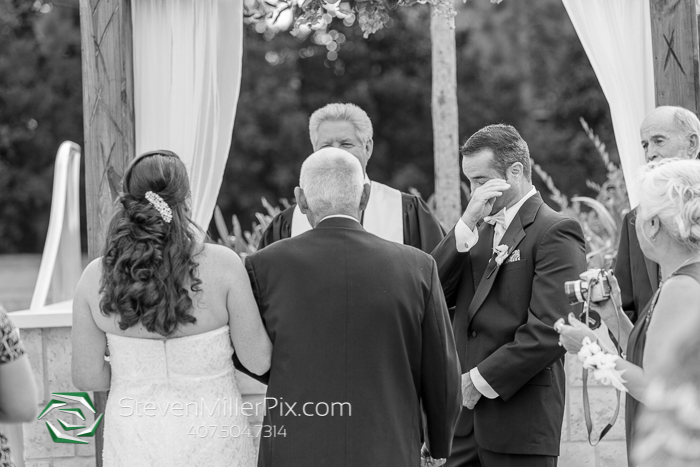 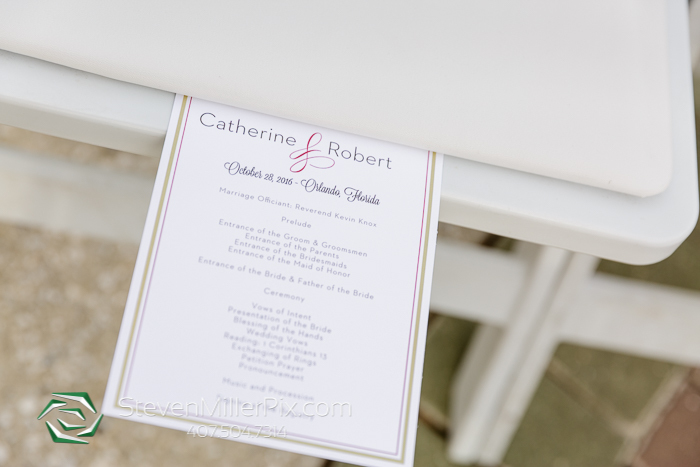 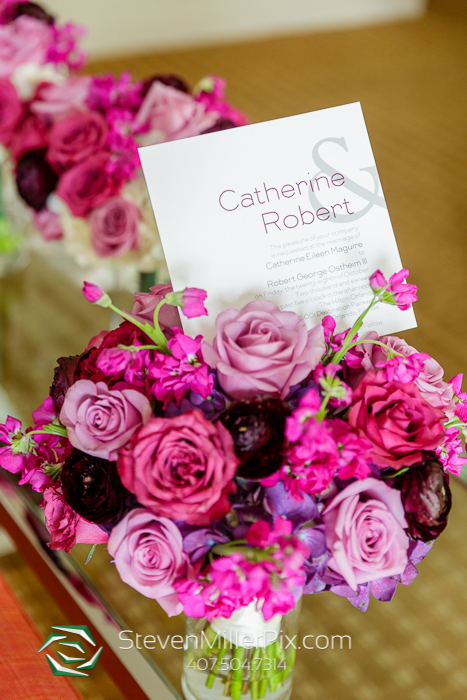 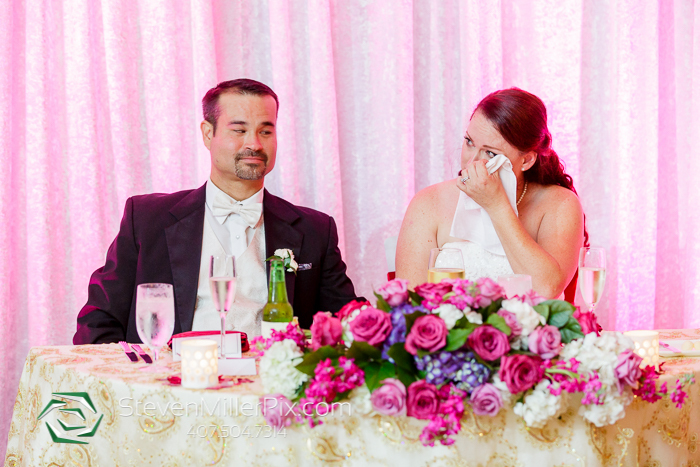 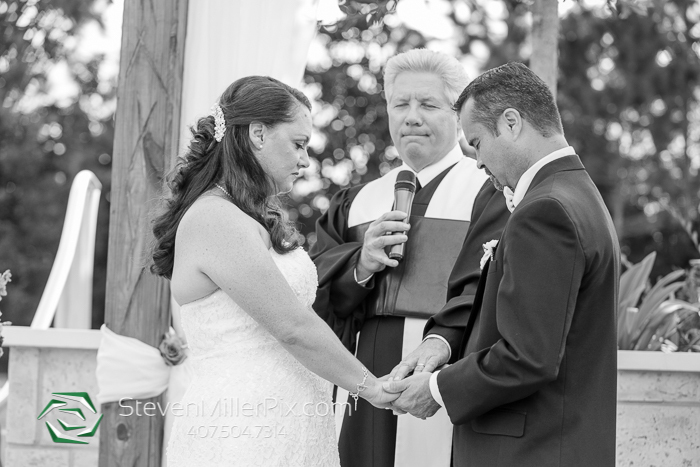 Catherine and Robert’s wedding day is definitely worth bragging about! 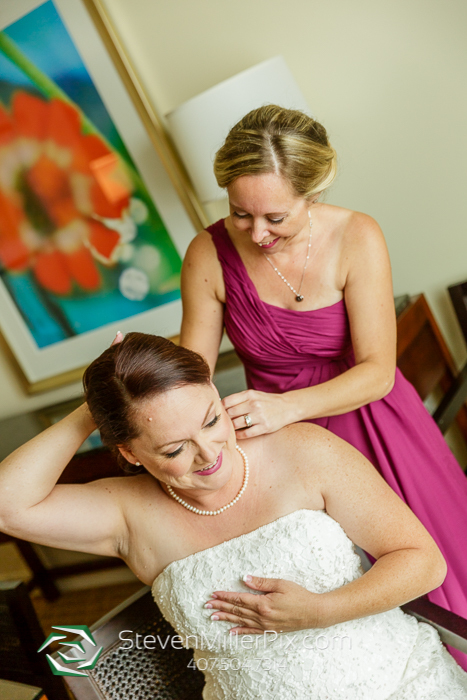 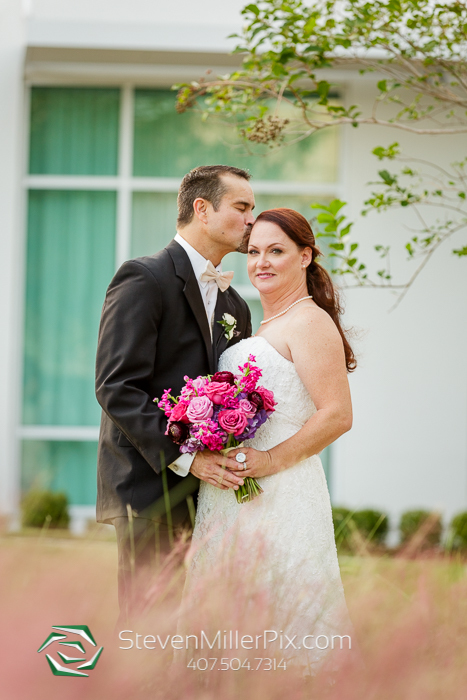 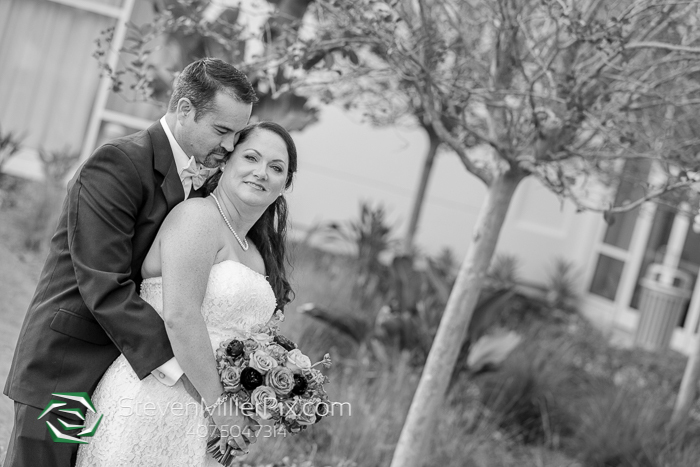 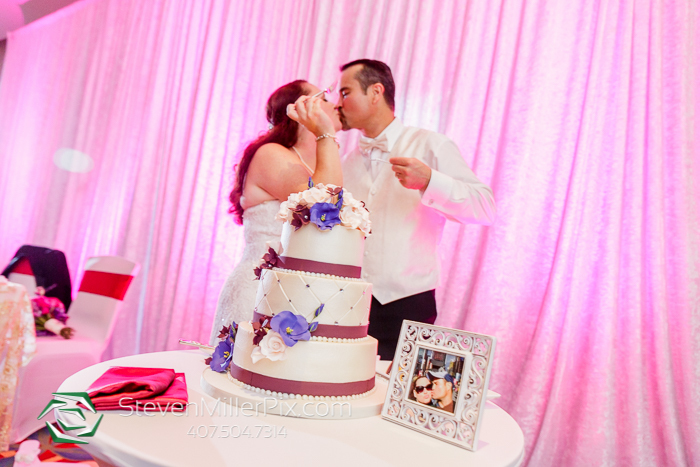 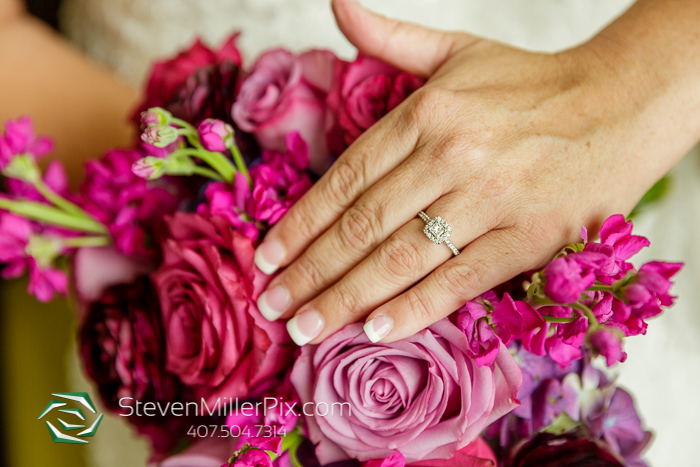 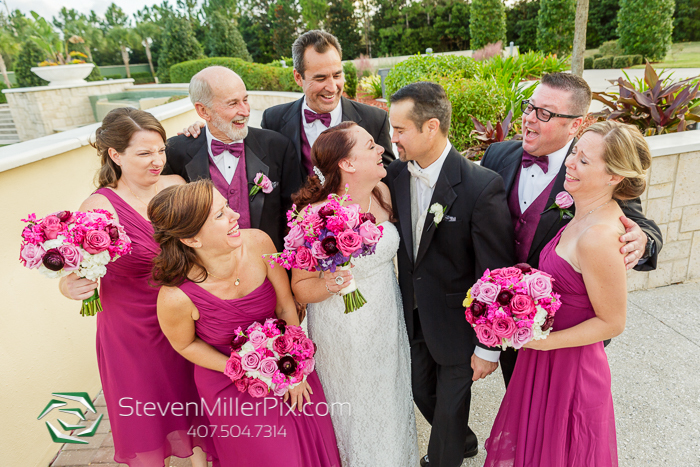 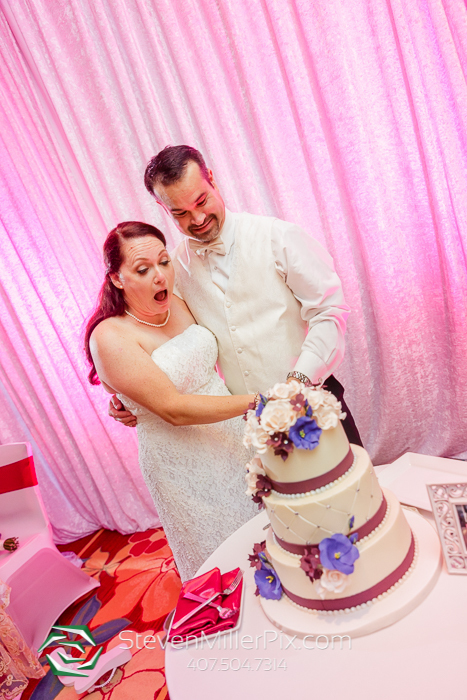 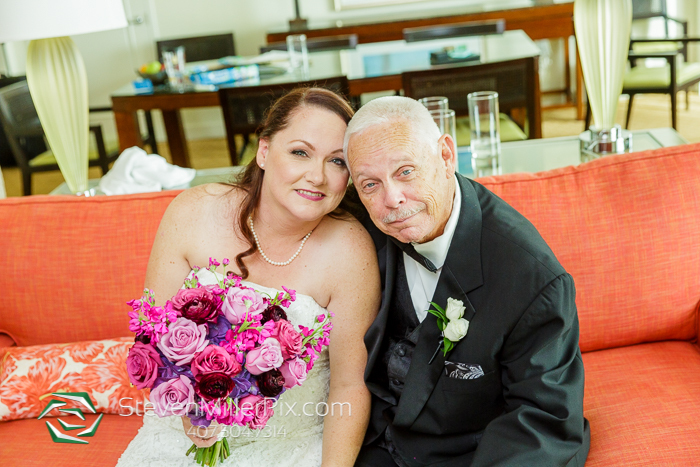 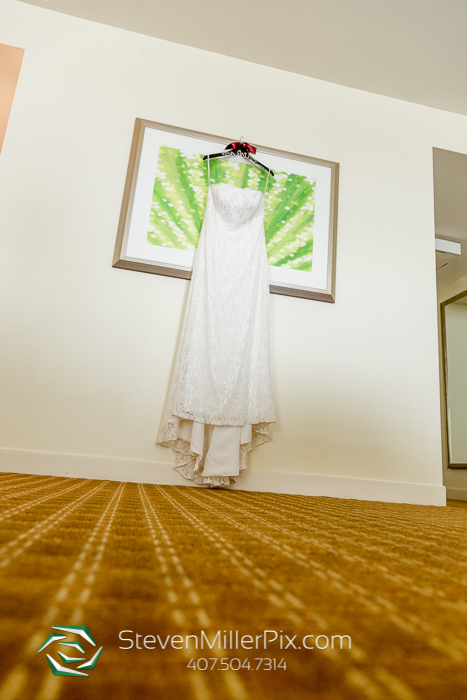 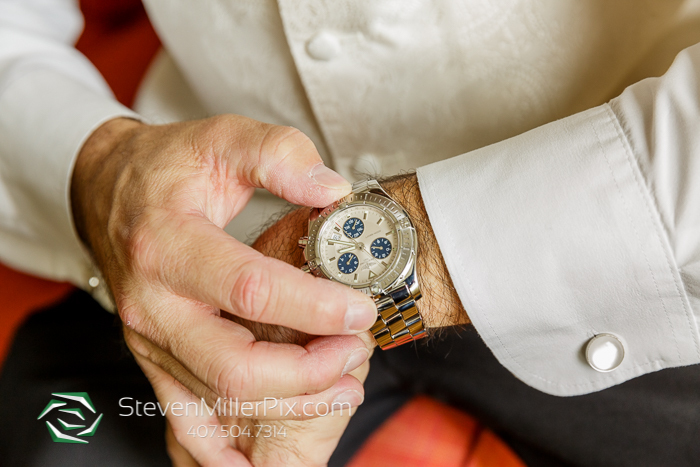 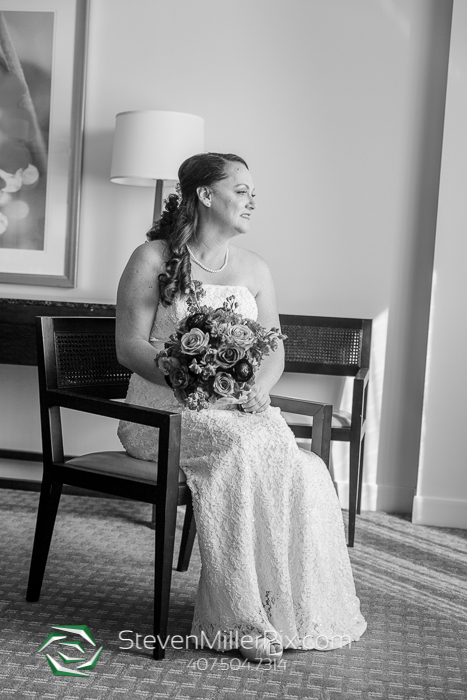 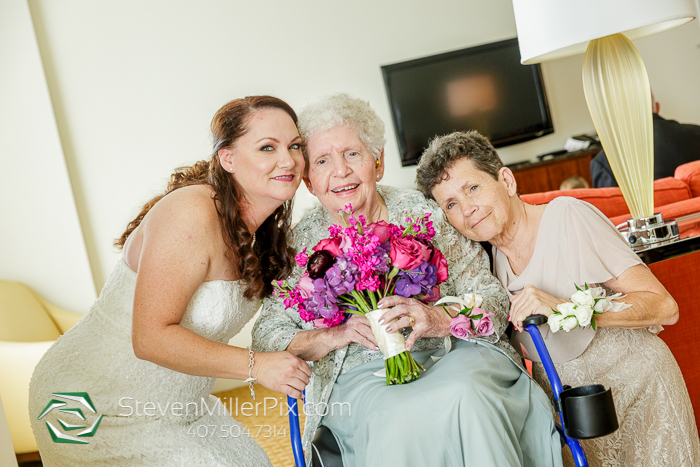 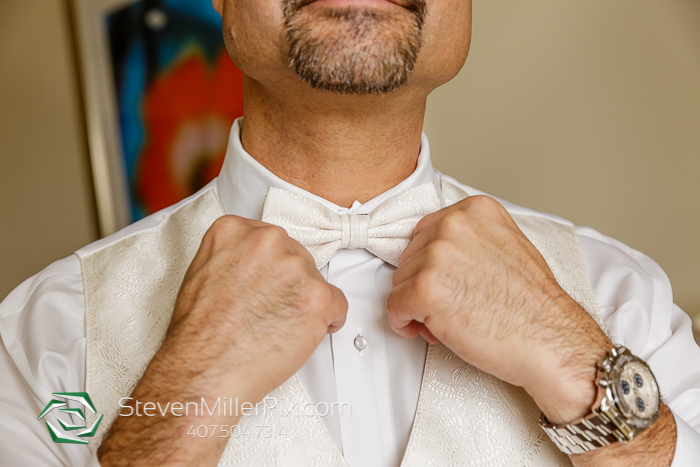 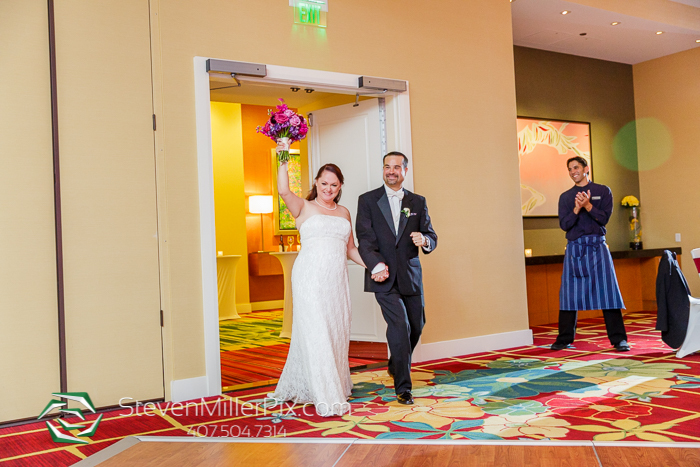 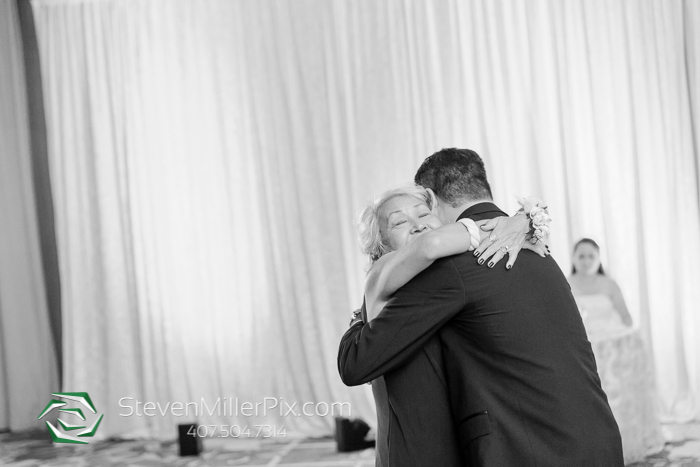 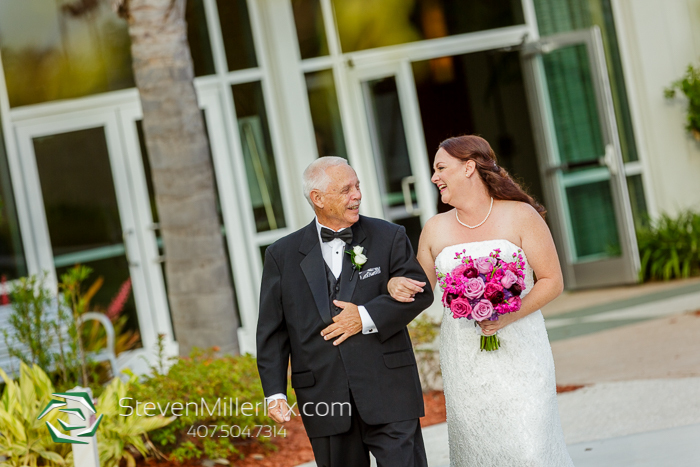 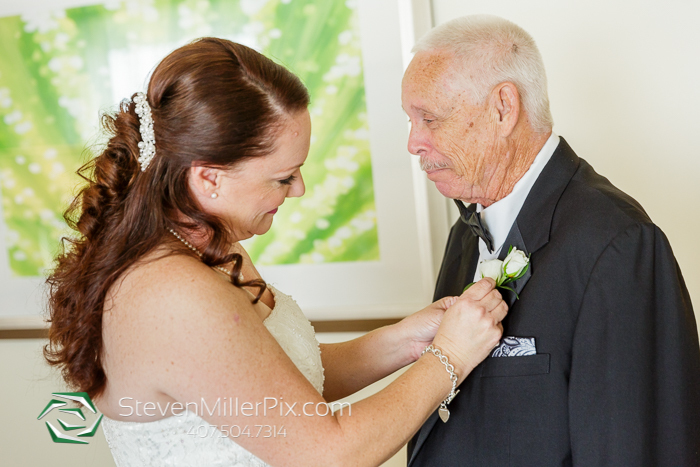 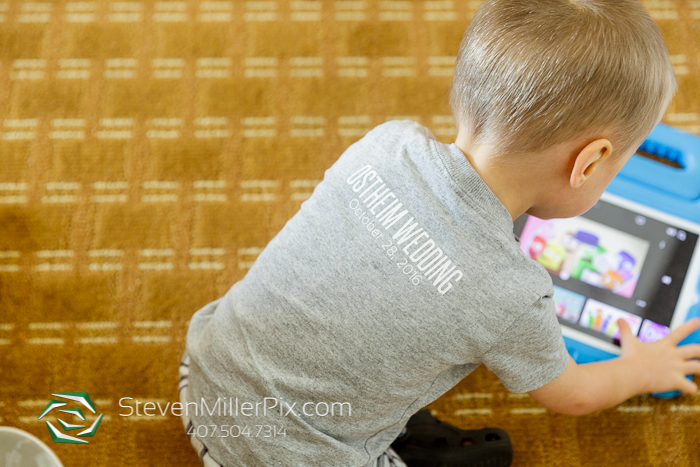 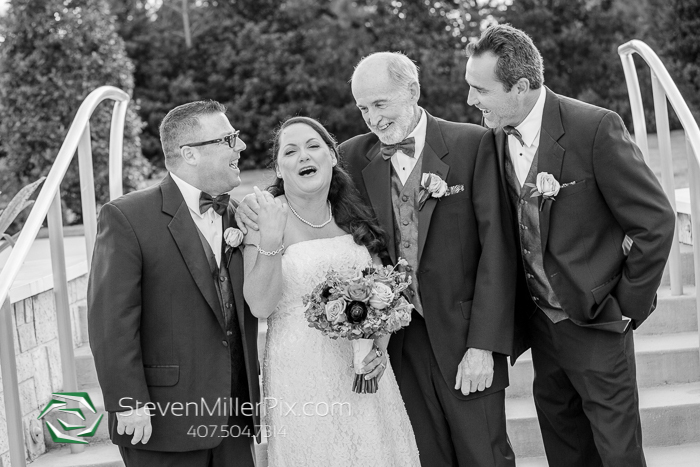 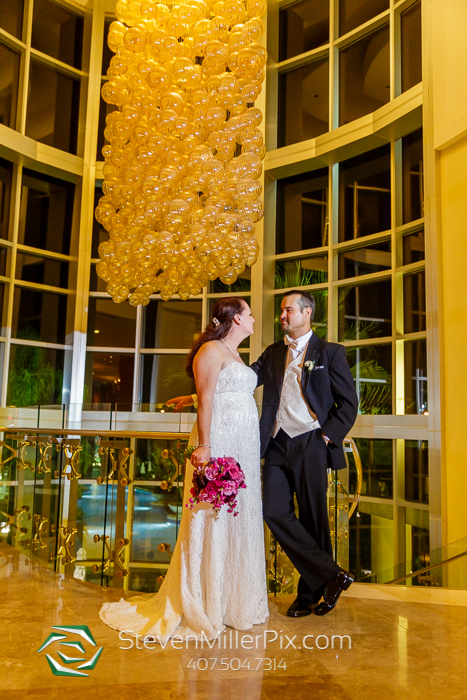 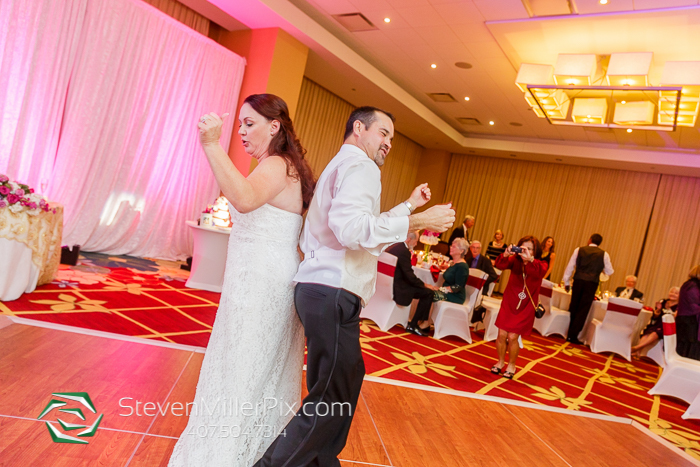 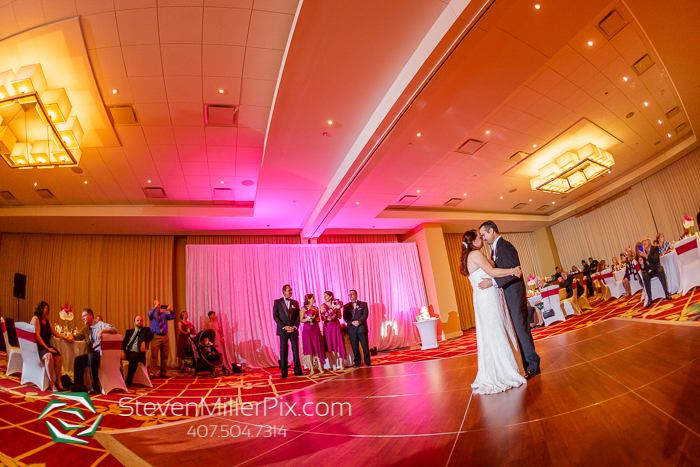 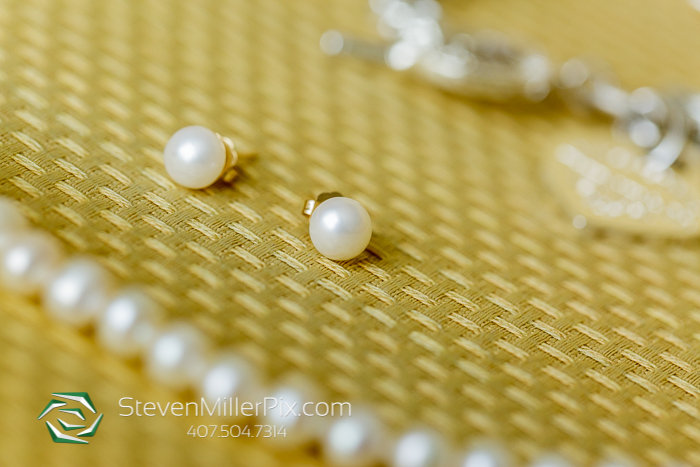 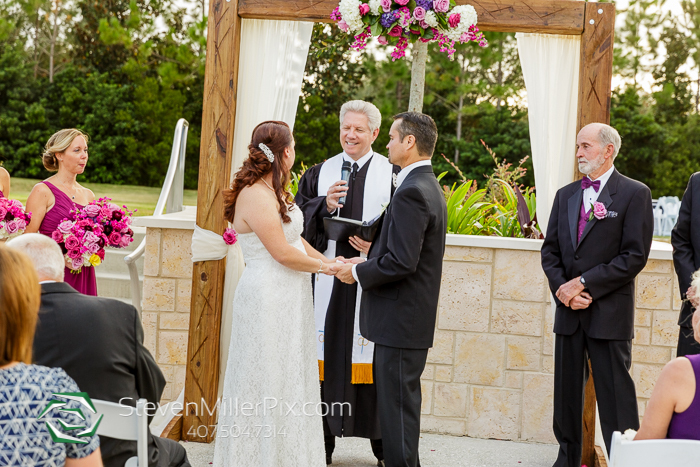 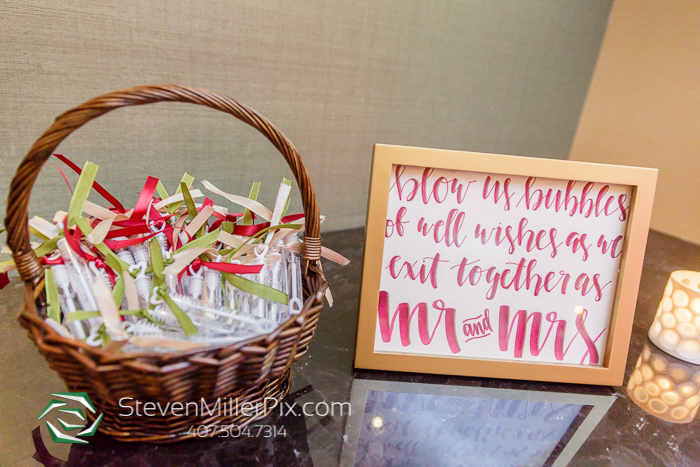 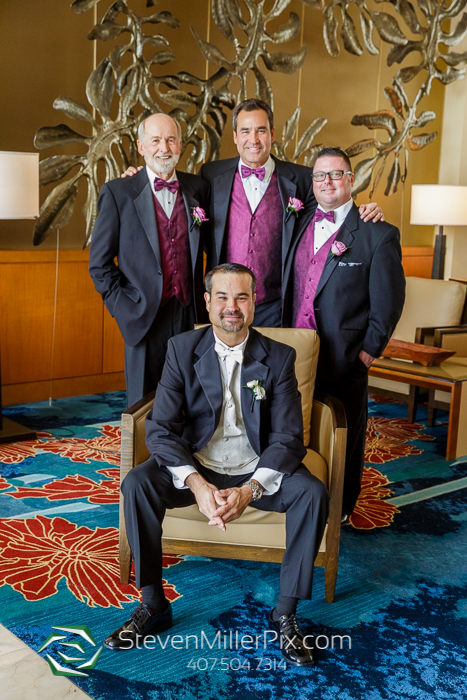 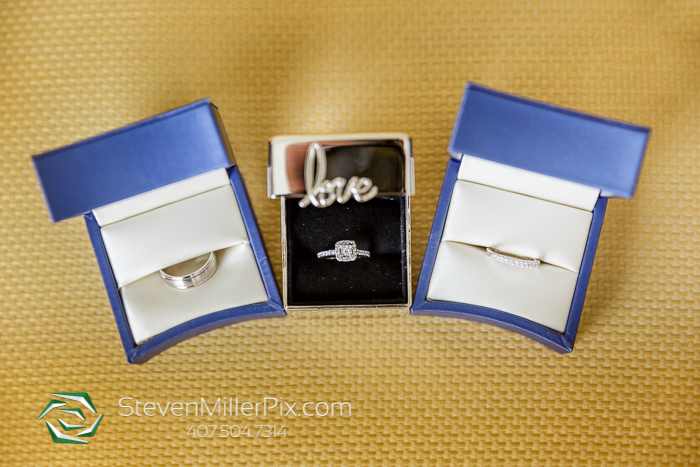 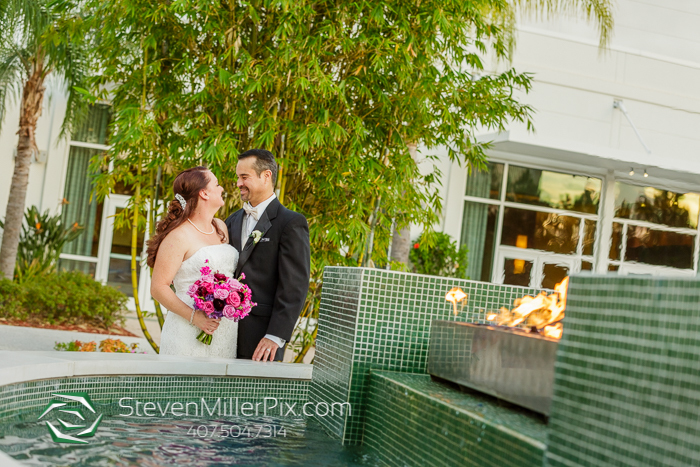 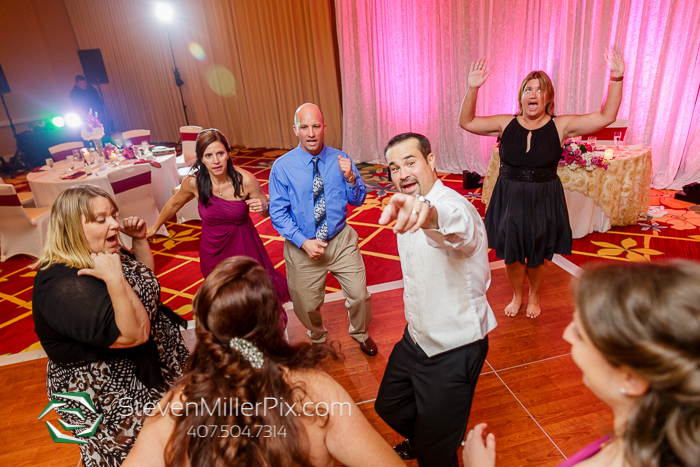 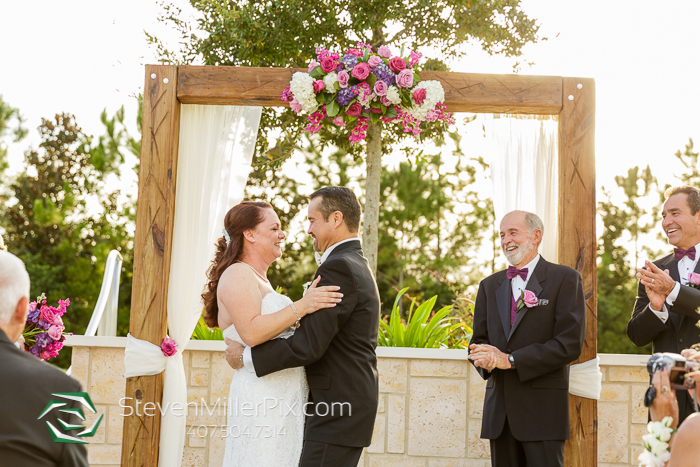 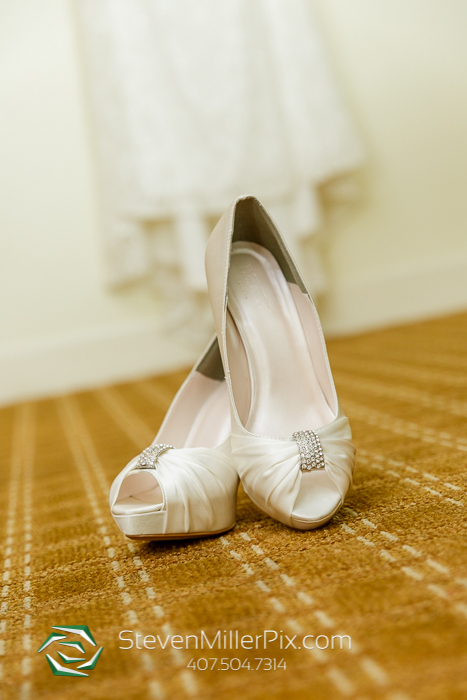 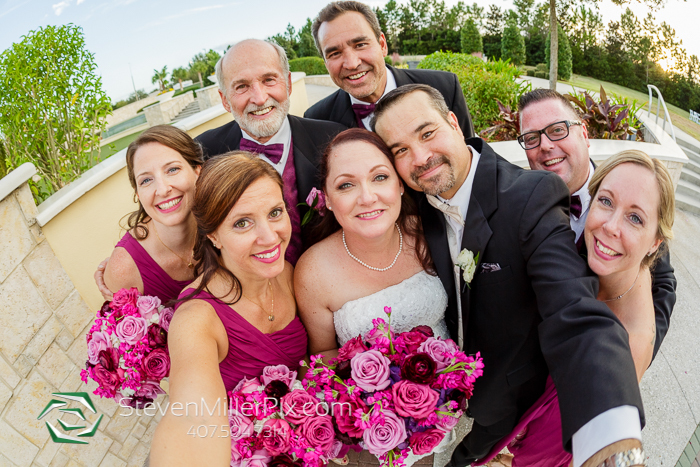 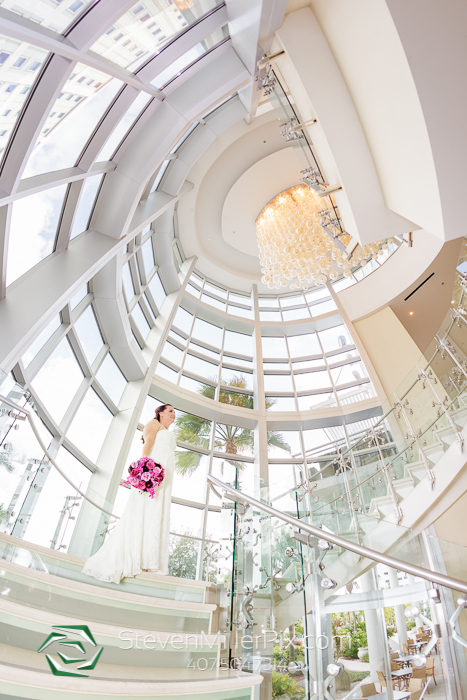 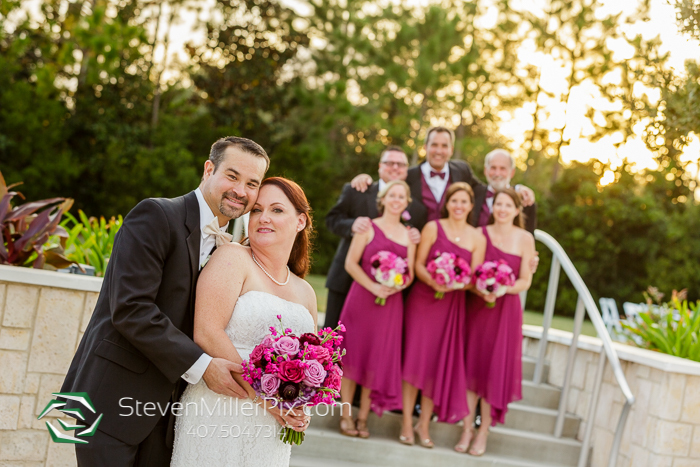 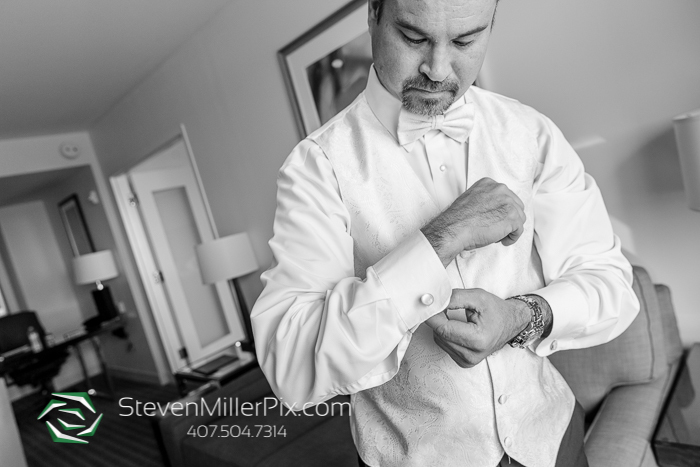 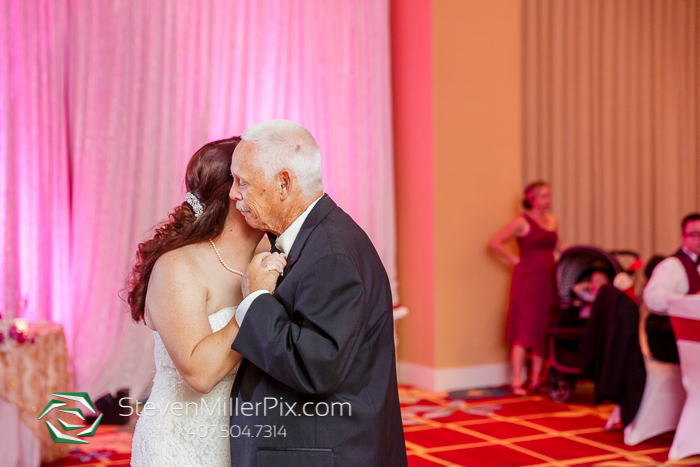 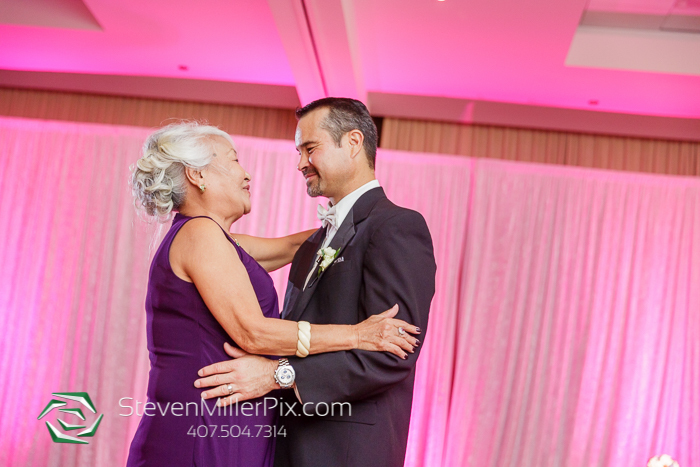 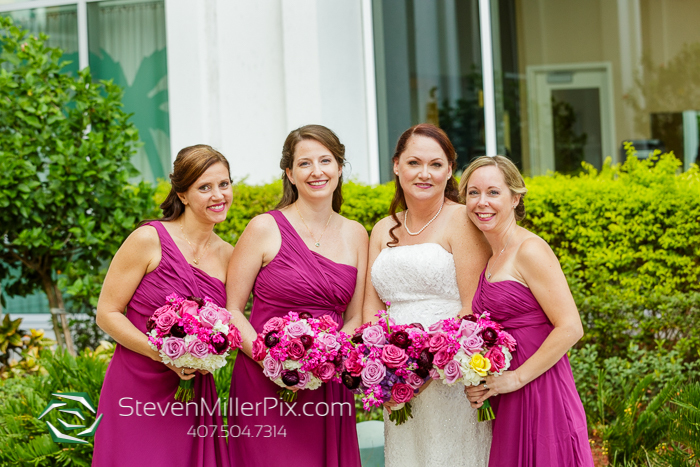 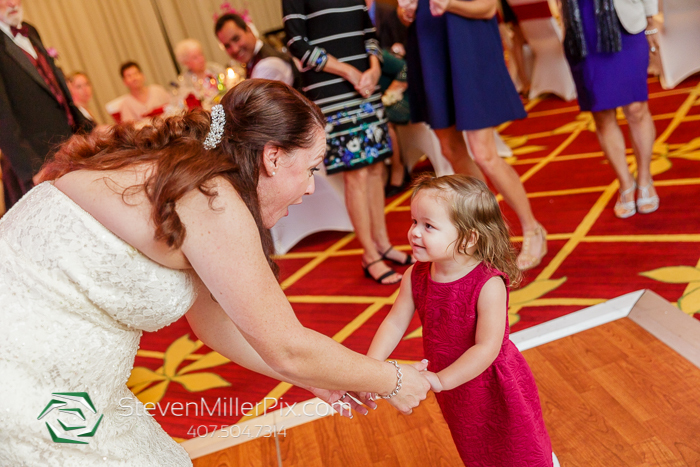 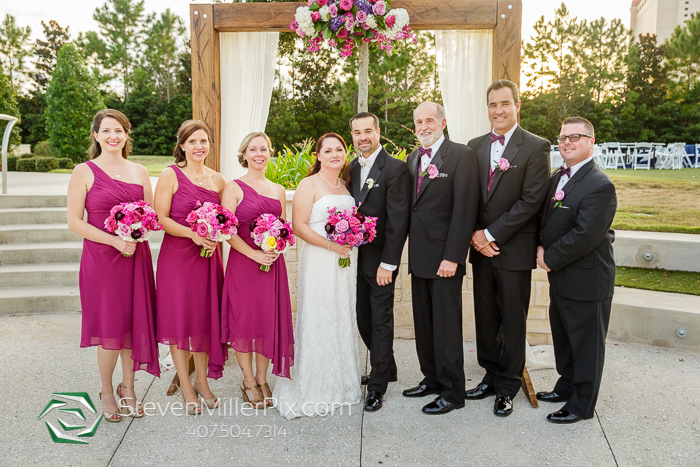 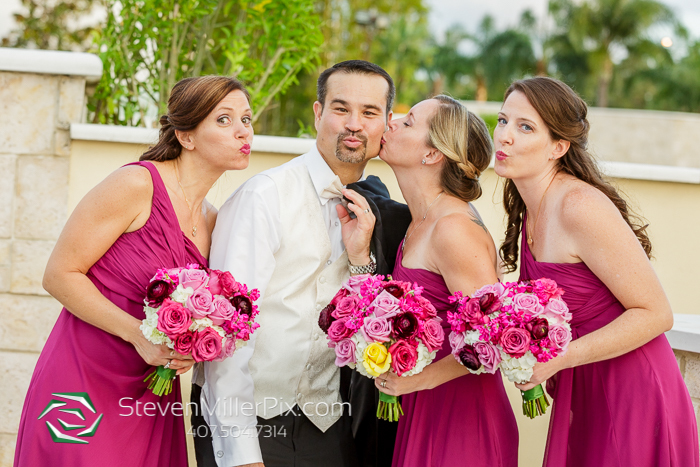 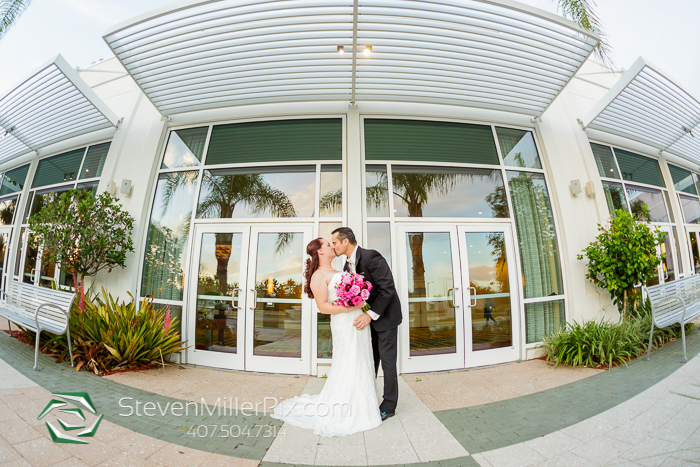 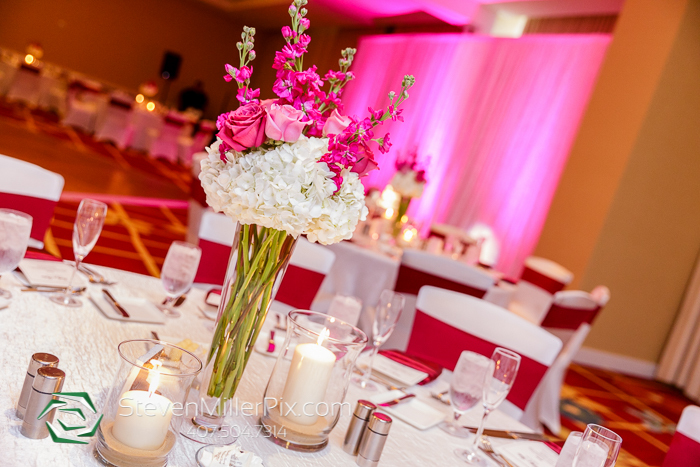 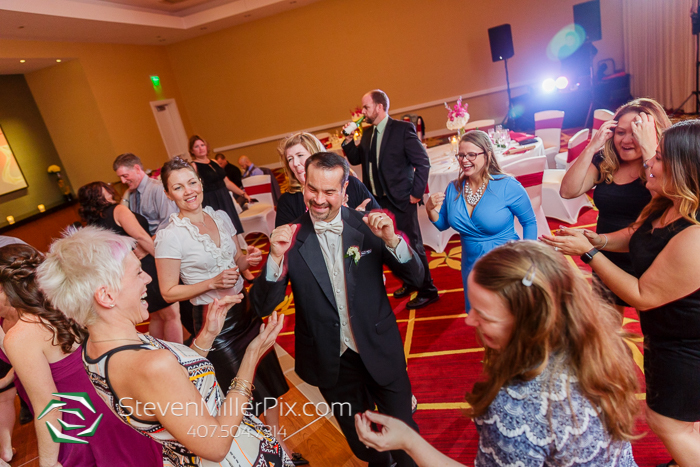 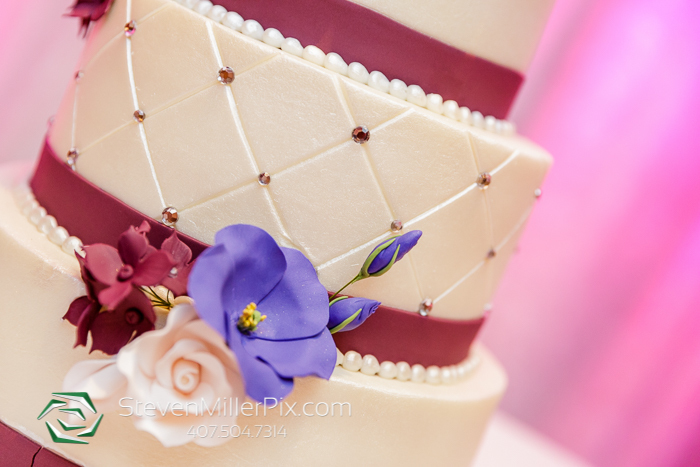 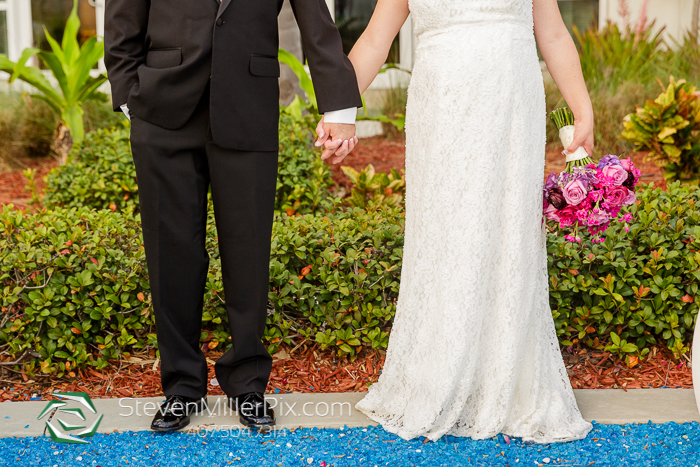 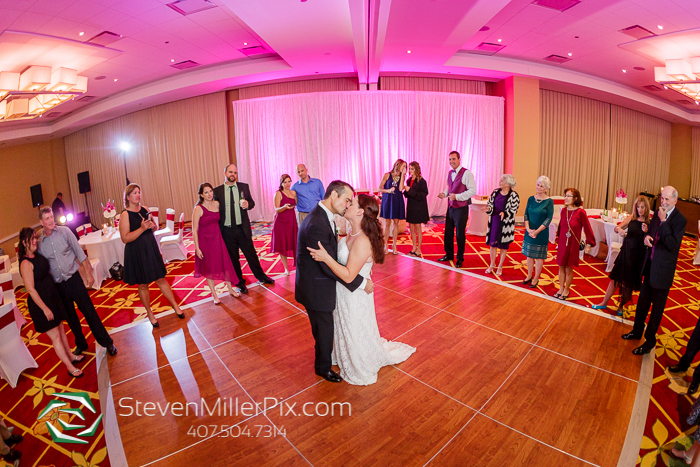 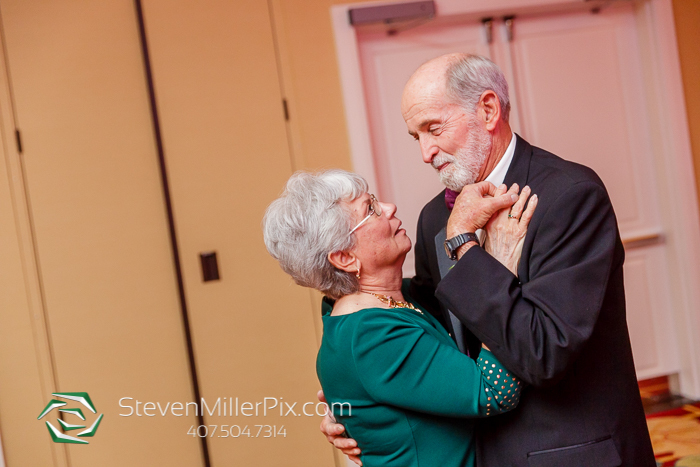 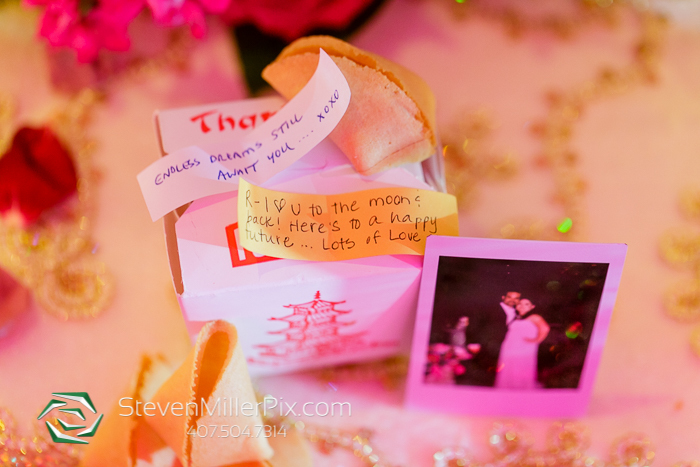 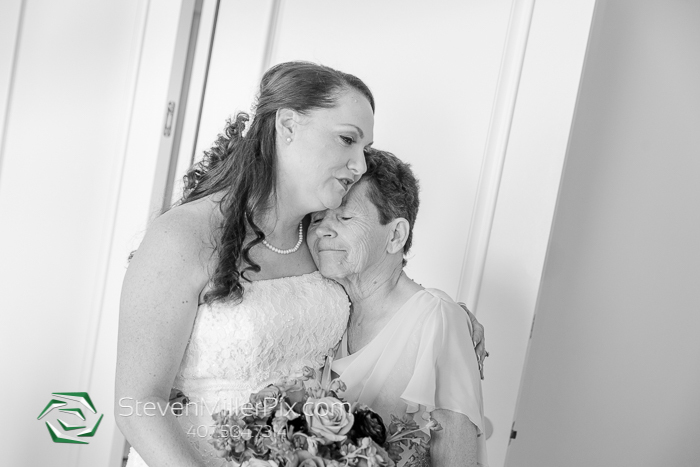 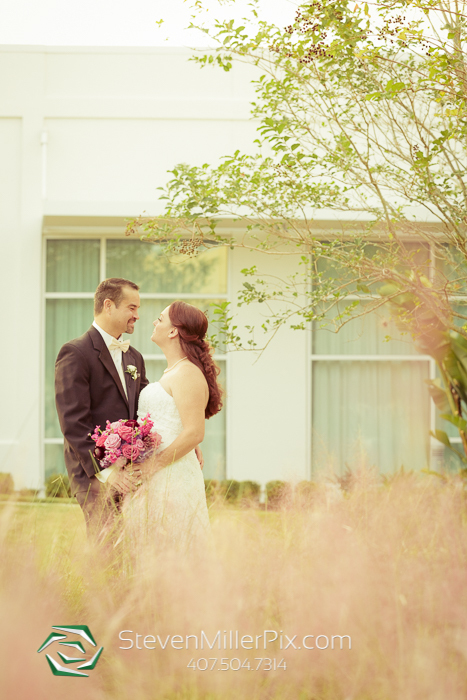 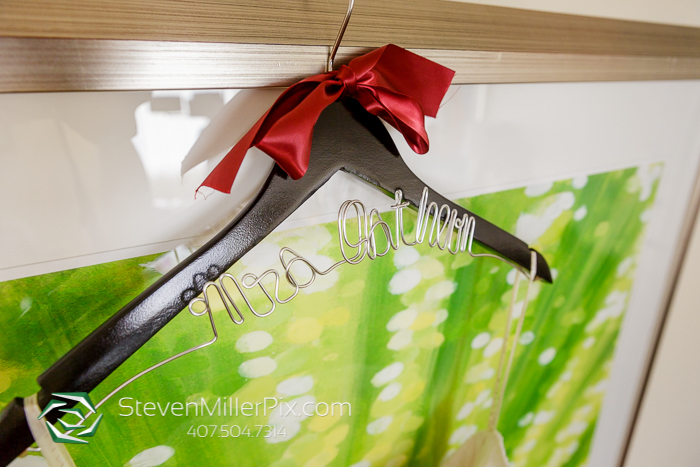 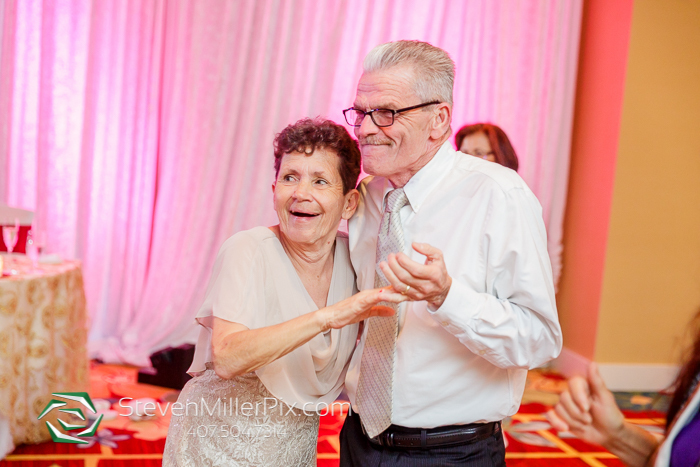 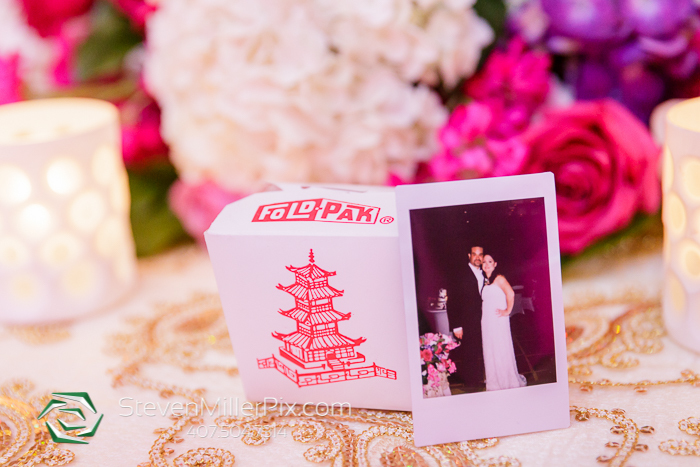 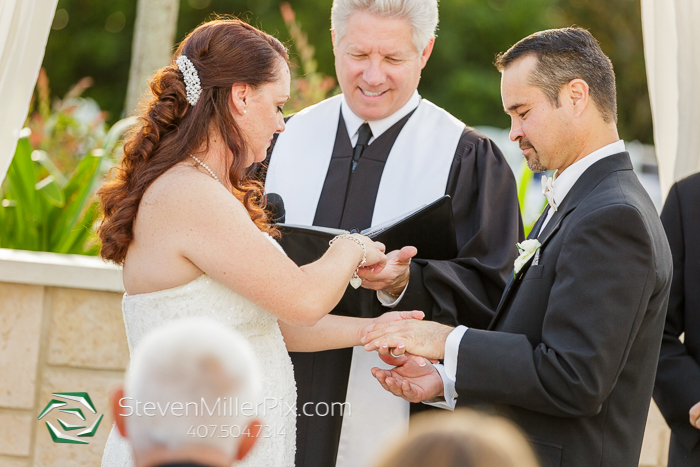 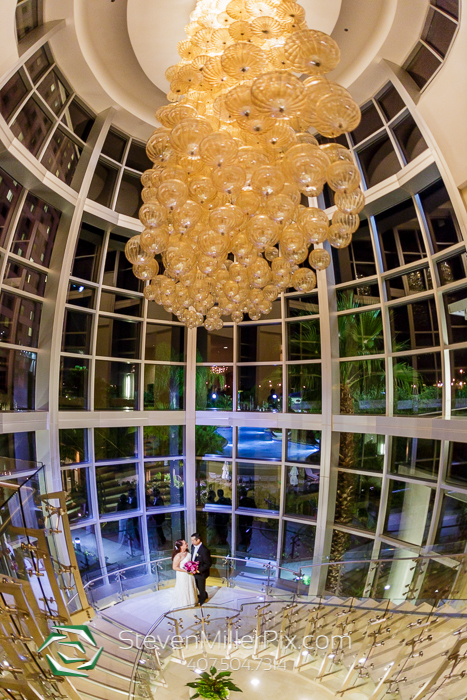 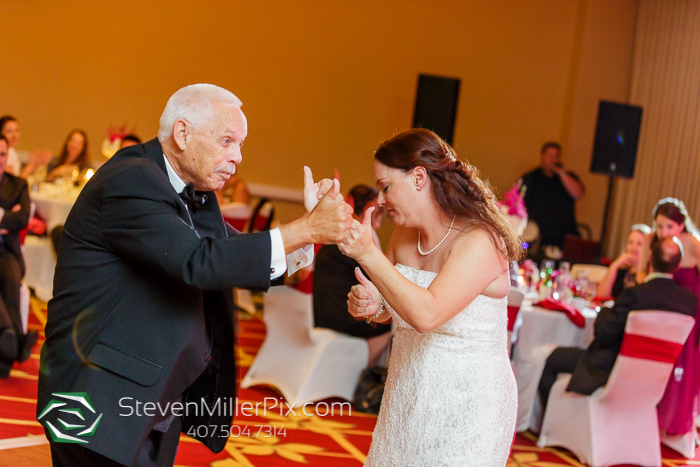 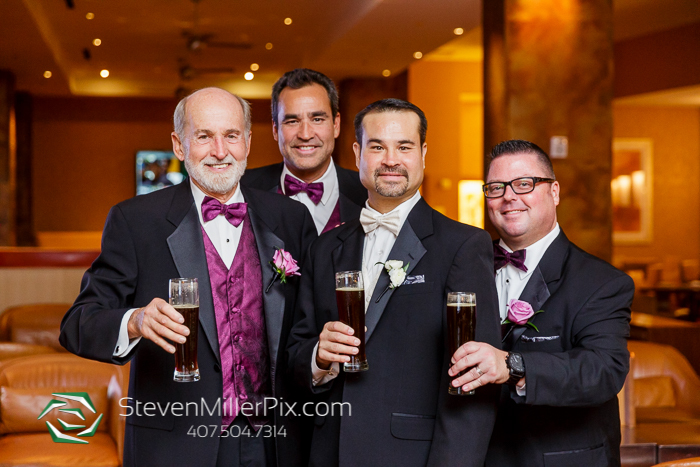 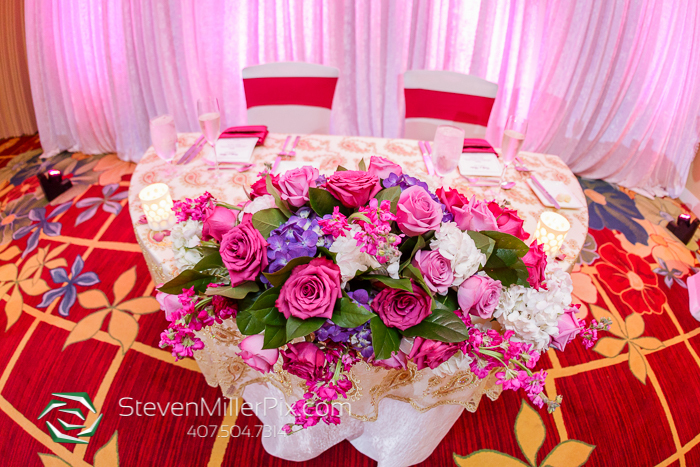 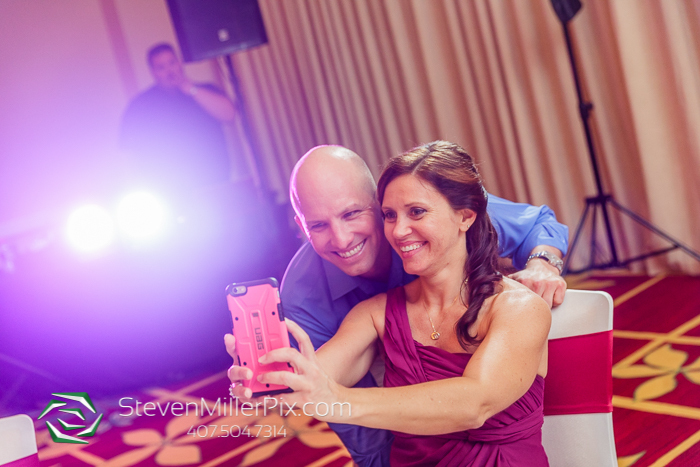 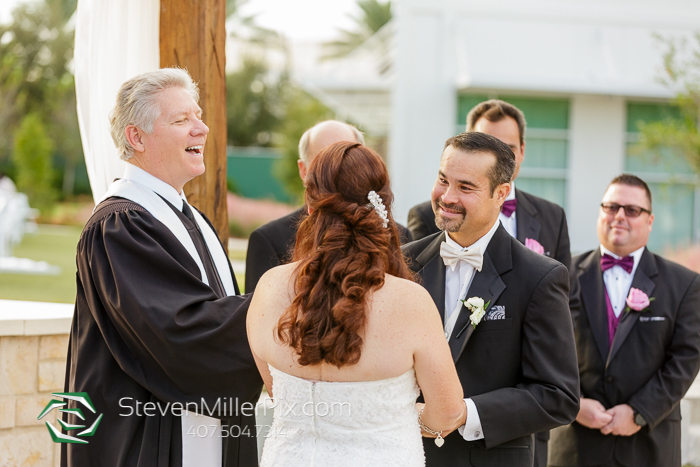 Wedding Photographers Steven Miller and Michael had such a blast at the Hilton Orlando, where these two tied the knot! 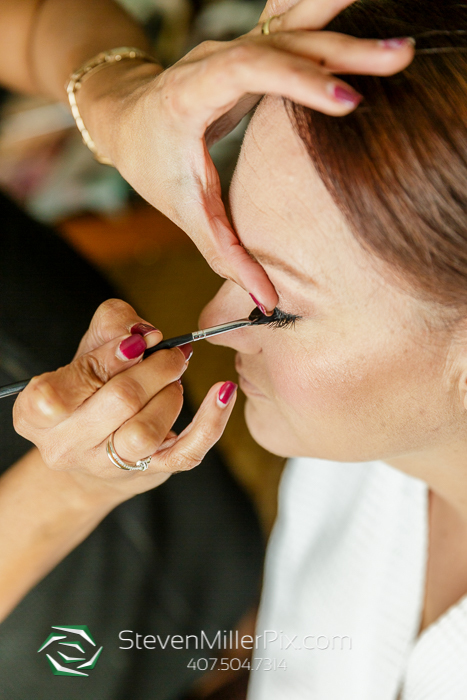 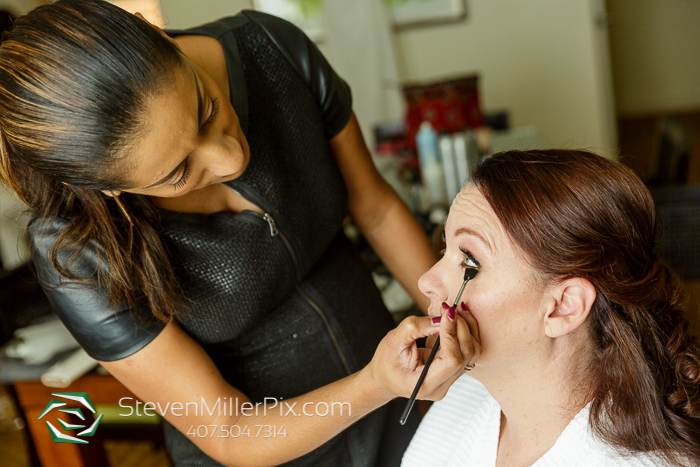 We began the day capturing Catherine’s bridal preparations within her suite, with hair and makeup services provided by Simon of the Makeover Station! 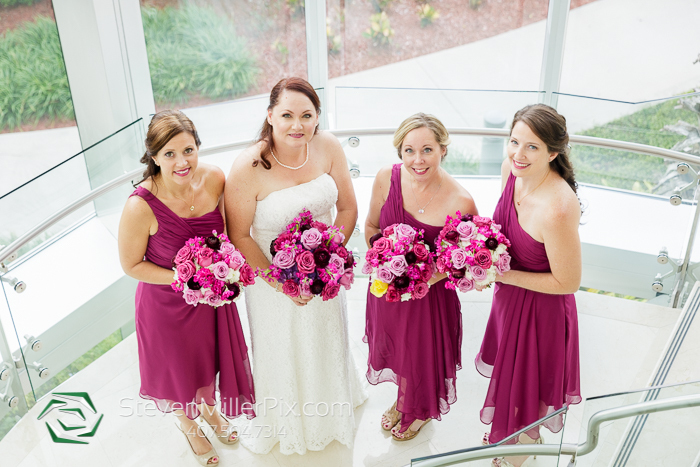 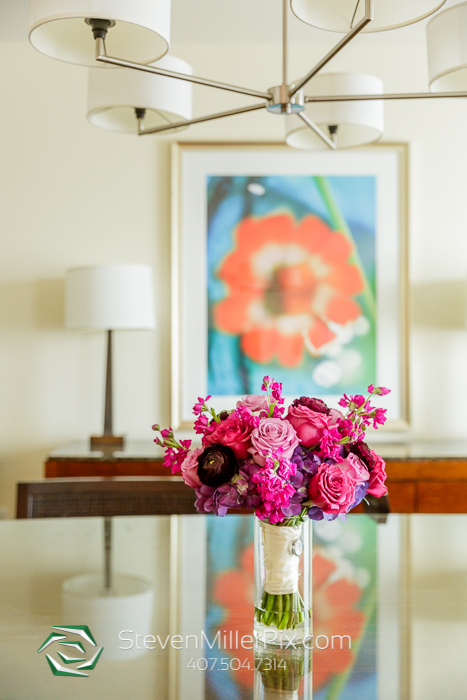 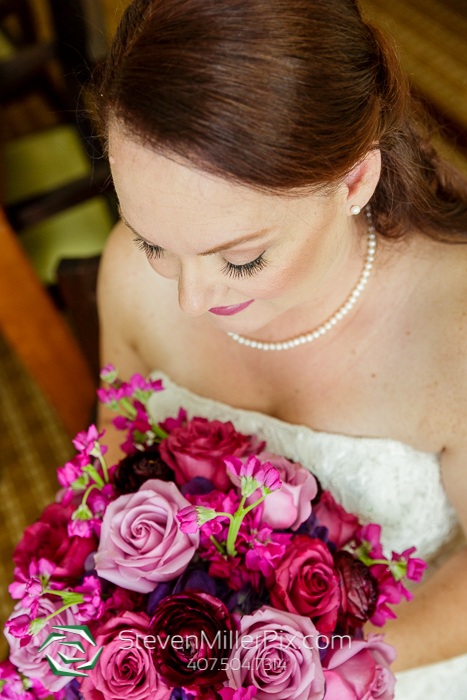 Check out those beautiful flowers and bouquets created by Flowers by Lesley! 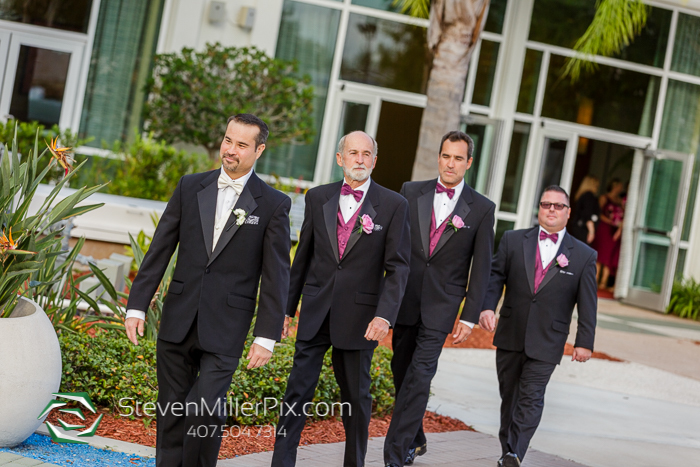 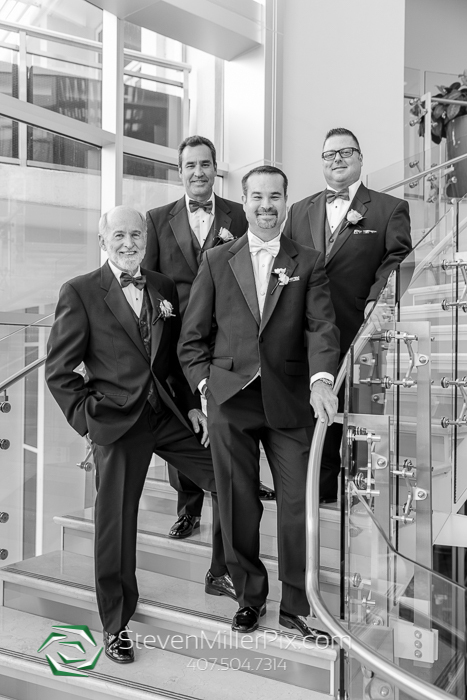 While Catherine was getting ready, Michael snuck Robert and his groomsmen around the hotel capturing some fun portraits before the ceremony! 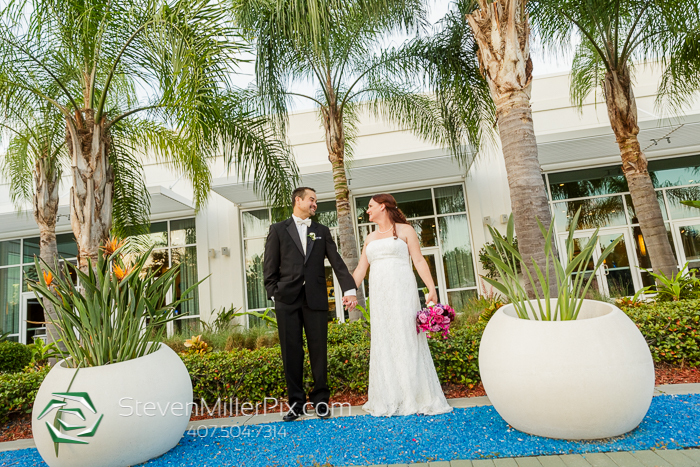 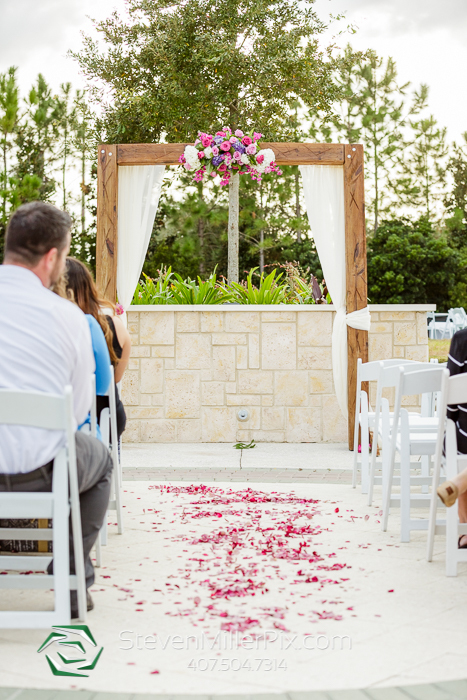 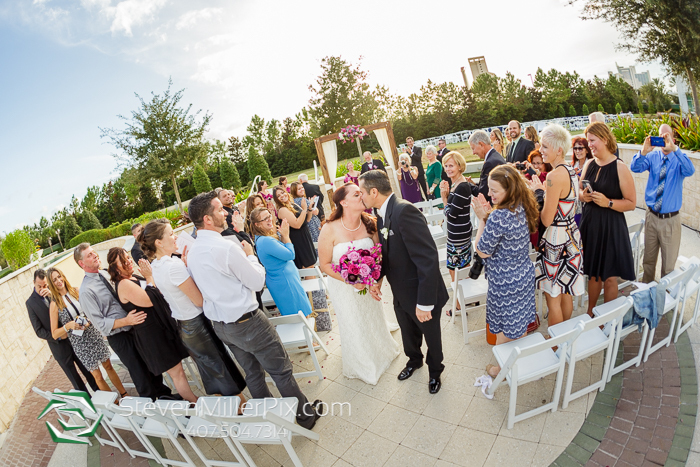 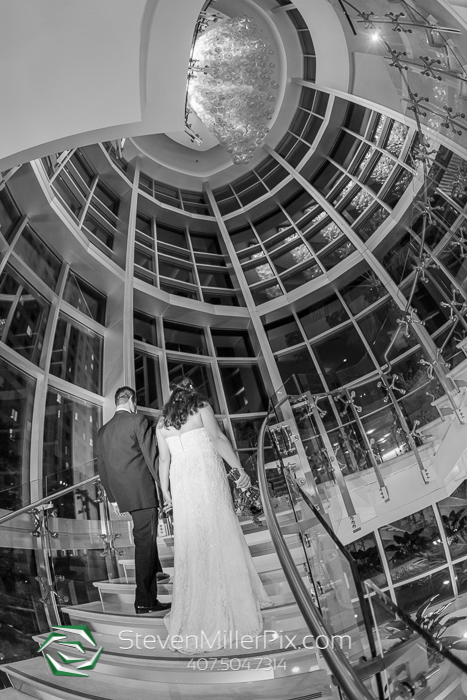 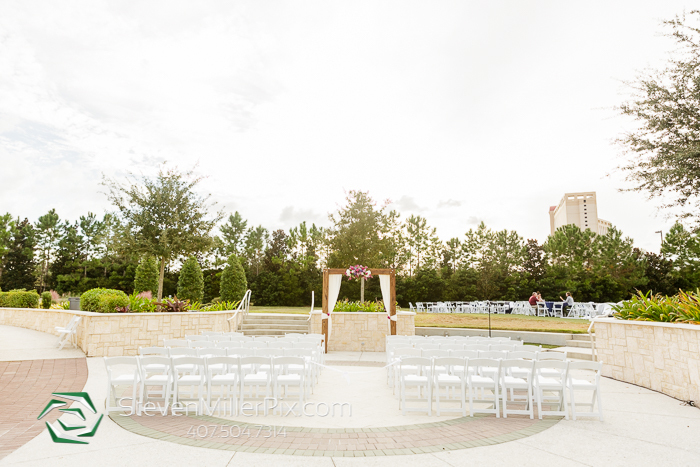 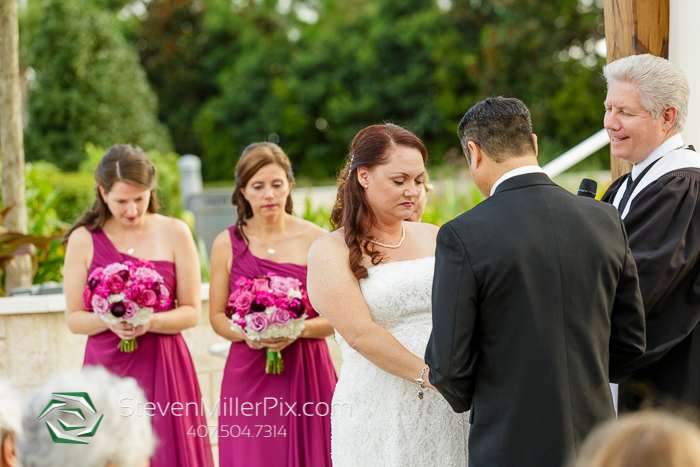 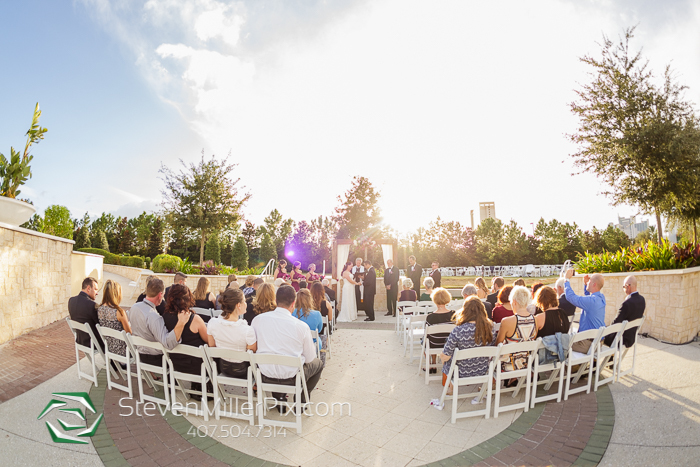 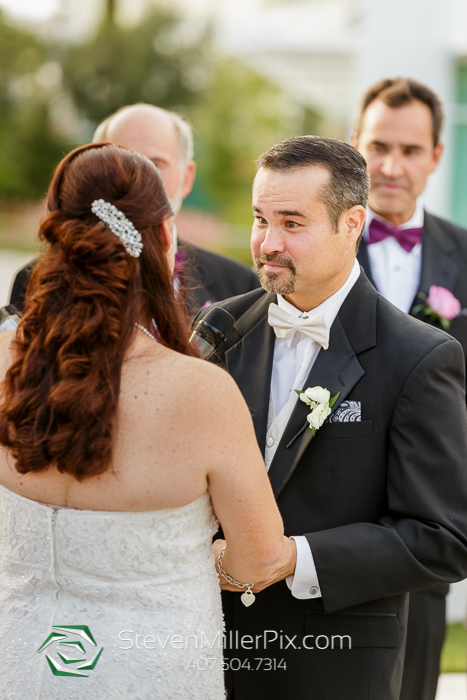 Once ready, we proceeded outside into the Hilton Orlando’s sun garden wedding ceremony location! 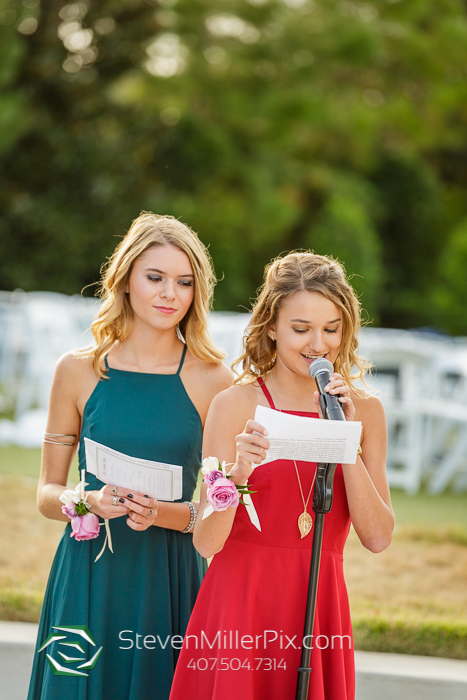 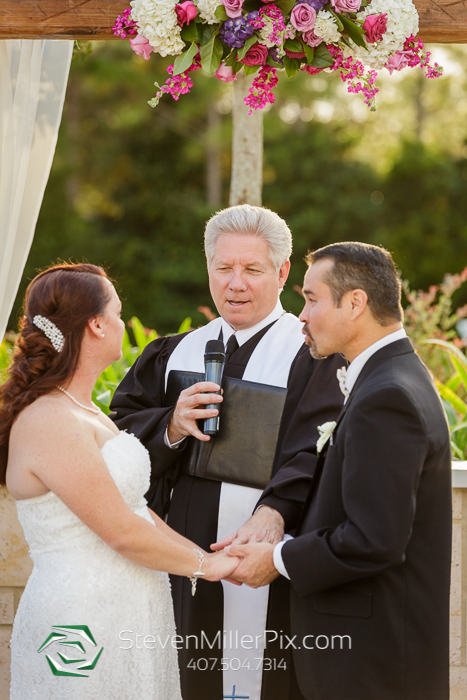 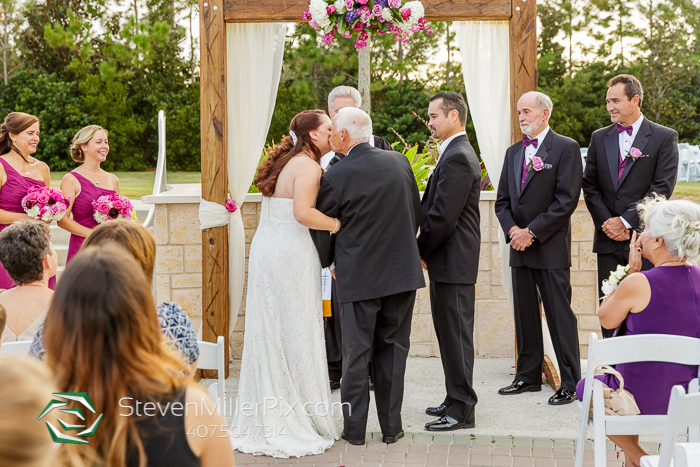 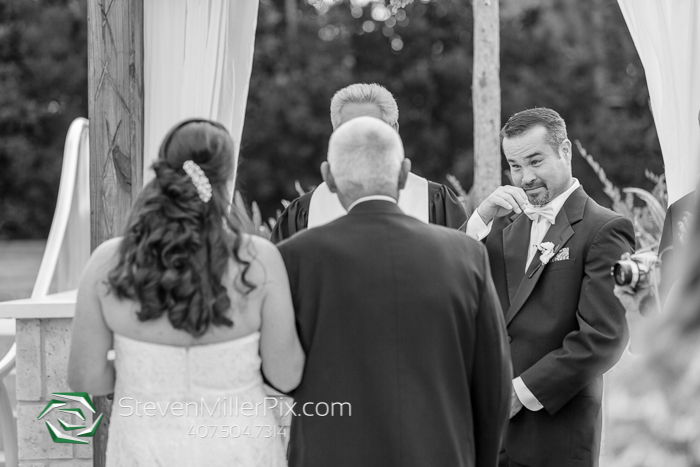 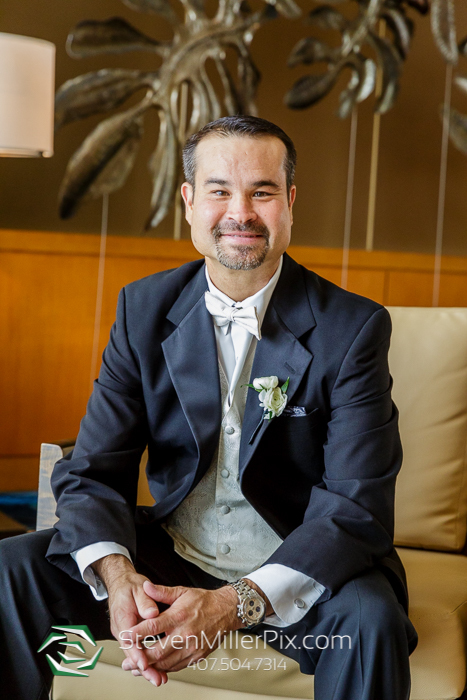 DJ Jim with Fyerfly Productions provided the audio services throughout the ceremony, and Rev Kevin Knox officiated their beautiful ceremony, with readings from their nieces, the ring exchange, and of course the kiss! 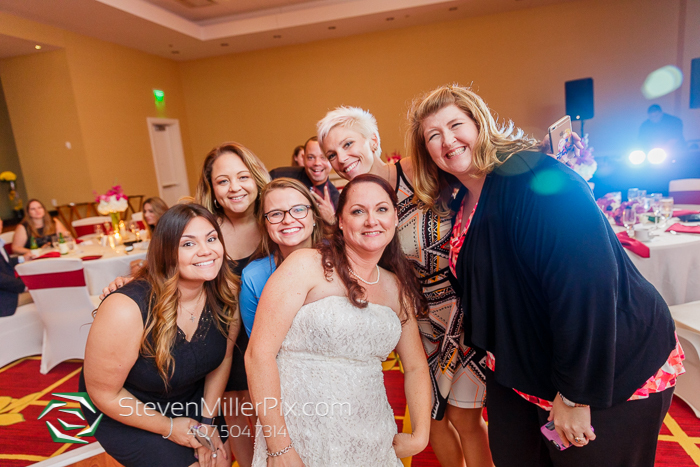 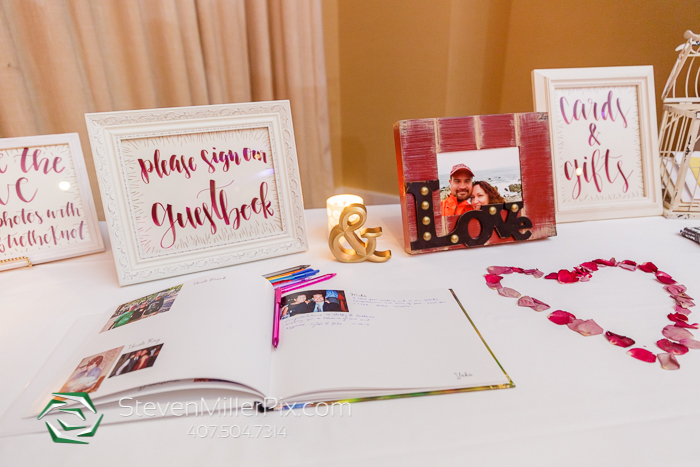 We captured their family, bridal party, and personal portraits before heading inside for their indoor wedding reception in Hilton’s Lake Mizell Ballroom! 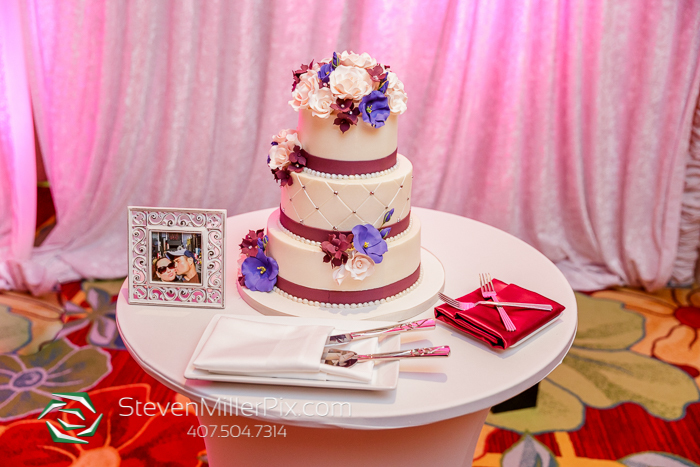 DJ Jim of FyerFly Productions provided the rocking music and dance lighting throughout the night, and Party Flavors Custom Cakes designed the gorgeous wedding cake! 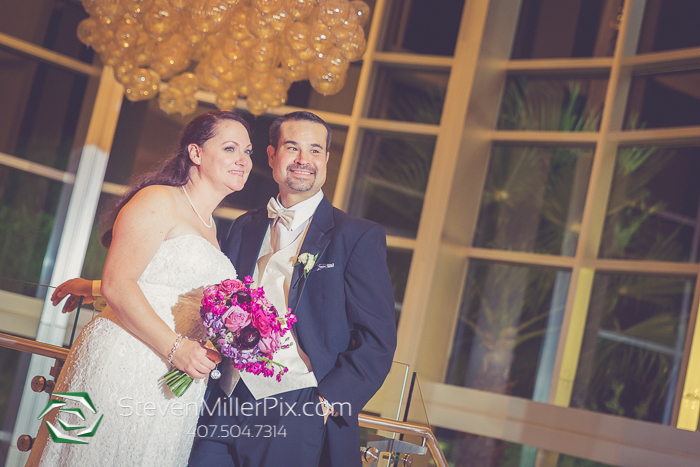 Before we left, we snuck Catherine and Robert out into the lobby for some fun night portraits, such a fun couple to shoot!! 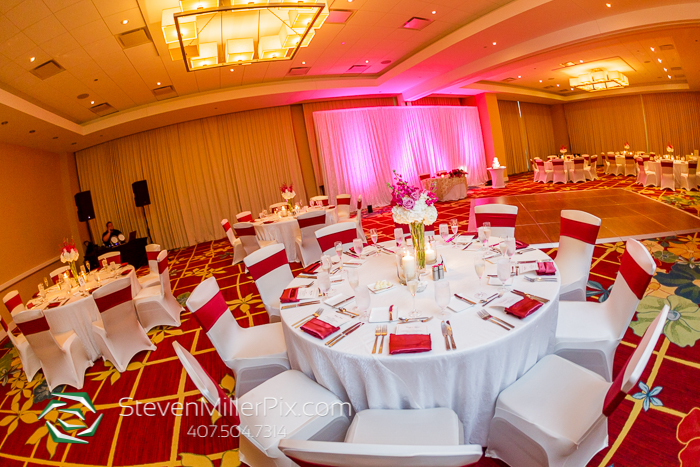 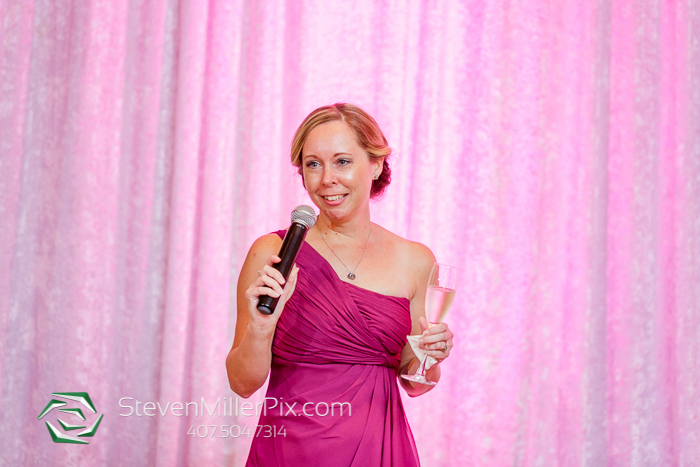 Special thanks to Aidan Hitt of the Hilton Orlando for her wedding planning throughout the day! 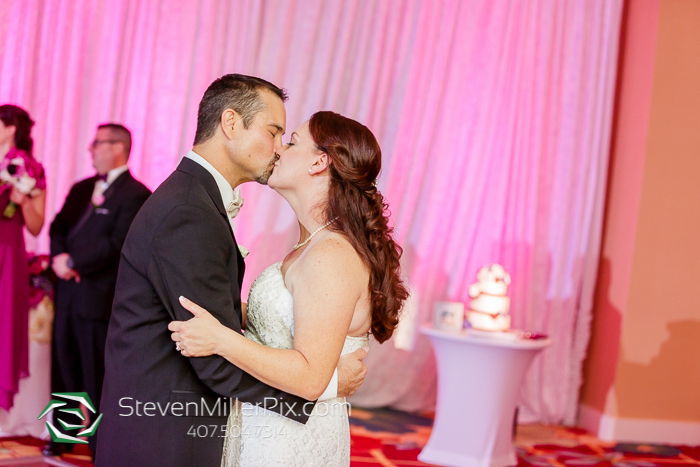 We had a blast with these two, absolutely the sweetest!! 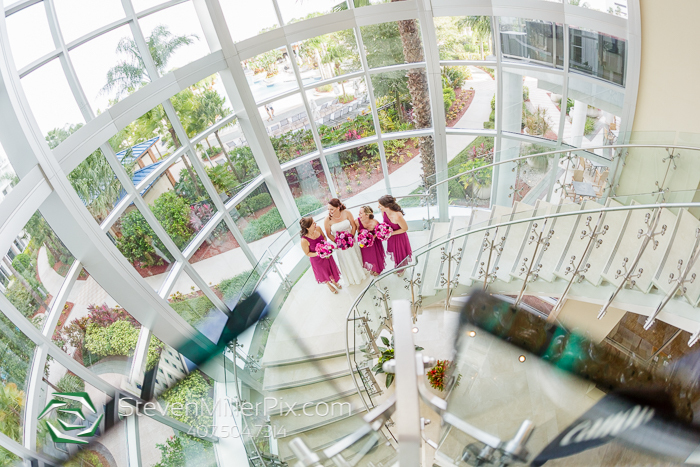 We hope they enjoy this sneak peek of their wedding day, and thank you so much again for inviting us to capture such a big day in your love story!